What seems to be a bullying incident among school children turned out to become the greatest power struggles between two fathers. What will happen if an ex-DEA agent faces the wrath of a meth drug lord and his gang? What will he do if his remaining anchor, his daughter, is endangered? Jason Statham plays Phil Broker whose only priority at the moment is to build his already limping family and the goodwill of his daughter. But everything turns dangerously mortal for both of them and the people who tries to threaten Broker's family. Jason Statham will be joined by James Franco, Kate Bosworth, Winona Ryder and Izabela Vidovic. 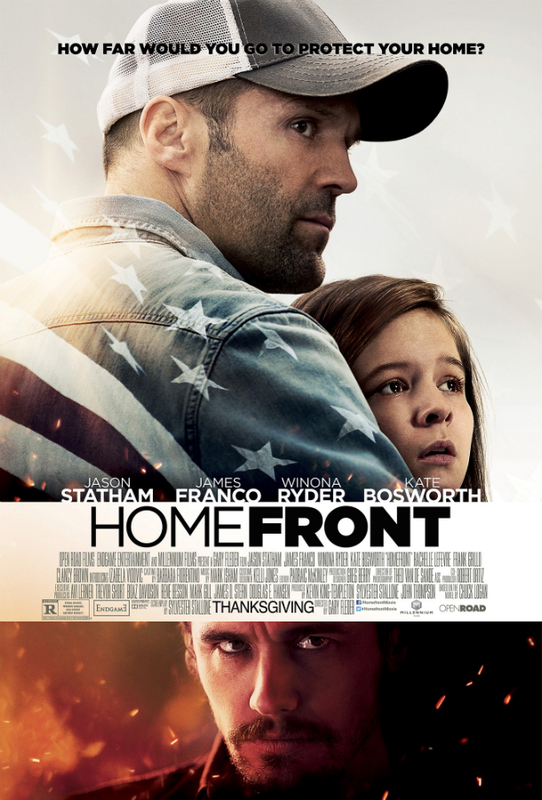 Watch the new trailer of Homefront, starring Jason Statham and James Franco. A former DEA agent (Jason Statham) heads to the hills with his daughter to get away from the dangers of the job only to find a small town terrorized by a meth head gang leader (James Franco) in this action thriller written by Sylvester Stallone and directed by Gary Fleder. Kate Bosworth and Winona Ryder co-star. Family values or vices will be questioned in Homefront, to be released on November 27, 2013.